We provide reliable hosting solutions that are tailored to meet any type of situation with exceptional quality and great value for money. Web hosting (also known as hosting, website hosting, and domain hosting) is the business of housing, serving, and maintaining files for one or more websites. Hosting requires a file server with computer storage space to store your website files and a fast connection to the Internet to transmit those files to the person visiting your website. You can think of it like renting or leasing a physical bricks-and-mortar shop with a shop-front. If you are hosting with a reputable company, it is like having your "shop" in a good location. Choosing the wrong hosting company would be like having your "shop" somewhere in a remote location and with many maintenance problems. Also, with a better hosting plan, you can think of it as having more floor-space and bigger doors on your "shop" to enable more people in at the same time. 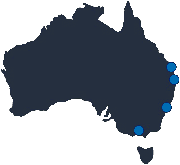 We provide fast and reliable hosting within Australia. By having your website hosted within Australia instead of overseas, it will display faster as it has a shorter distance to travel to your potential customers if they are also located within Australia. Google and other search engines also look at where a website is hosted to determine your overall ranking position. 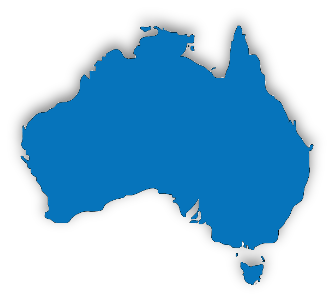 If you have an Australian website targeting Australian customers, your search engine ranking will benefit from being hosted in Australia. You can manage all aspects of your hosting account via the DirectAdmin hosting control panel. DirectAdmin is the fastest, most reliable and easiest to use control panel available. While extremely powerful in performance, it is still simple to use. Once logged in, you are in complete control to manage your company's email accounts, email forwarders, MySQL databases, backups, files, and much more. You can even view statistics to see how many visitors your website is getting. Need fast reliable website hosting in Australia?